Part of a tasting of Graham 1955, Fonseca 1966, Dow 1963, Cockburn 1963, Warre 1977, and Ramos Pinto 1985 held in Boston on Saturday 14th July 2007. The tasting began at about 7pm. From the fine cellars of Sean C., and decanted at 13:30. A perfect colour, lightly brown at the edge and the centre a glorious red. Mixed berries to the nose, no one that I could separately distinguish. 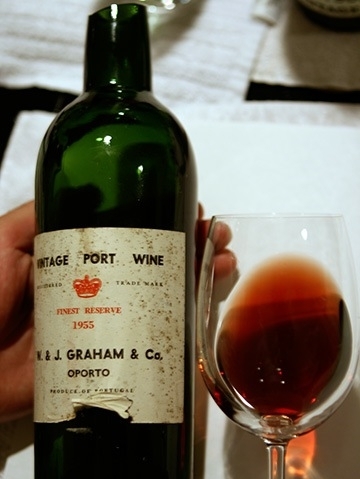 To the palate very soft—perfectly aged—and very long. Again mixed berries, and very very long. A great port, and one of the best few I have sampled this year. UncleTomScore = 9/8.